Update: This slime kit dropped to the lowest ever on Amazon! Kids will love this Crayola Slime Supplies Kit on Amazon! Hurry and get the Crayola Model Magic Gooey Fun! Party Kit, Slime Supplies, Gift for Kids, Age 5, 6, 7, 8 today for $20.49 only $5.94 from Amazon! Save BIG! Limit 4. Check out all of the recent Amazon deals here! Let the good times roll with the model magic gooey fun! party slime kit for girls and boys! create 10 different types of slime with the featured slime supplies and easy-to-follow instruction booklet. 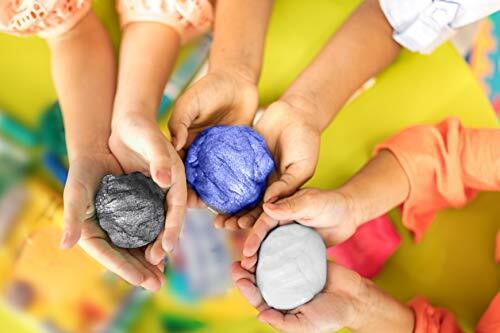 Make, stretch, and be silly—the DIY slime gives kids the freedom to be kids. PLUS, the 3 resealable storage containers help protect and prevent dry out of the finished goo product, letting kids enjoy it on a different day! open up this set at a birthday party or at home with the entire family and turn any day into a celebration of gooey fun. Buy the Crayola Model Magic Gooey Fun! Party Kit, Slime Supplies, Gift for Kids, Age 5, 6, 7, 8 from Amazon. Previous articleBetty Crocker Pizza Maker – Price DROP!